In this paper, we report a turn-on fluorescence sensing of Al3+ ion using a new fluorenone derivative. 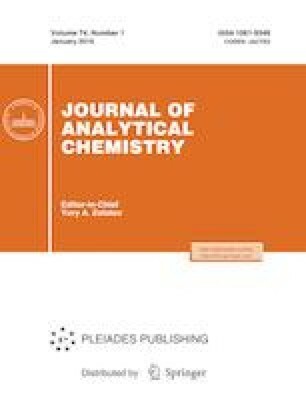 The imino derivative of 2-amino-9-fluorenone and mercapto-2-butanone is synthesized and characterized using IR, NMR, and mass spectral techniques. The fluorescence of the compound shows a large enhancement at the addition of Al3+ ions, and other metal ions show insignificant changes of the fluorescence. The stoichiometry and the binding constant of the complex are reported. The detection limit of the Al3+ determination by the fluorenone derivative is 5 × 10–8 M. A visible enhancement of color occurs on illumination of the fluorescent compound – Al3+ ion complex.